This Tuesday I logged in to Facebook and noticed a News of a german Games Magazin called 4players which I read regularly. They wrote if we have a good day and if we can call up the Poet in us, then we should write a short or long Poem under their mentioned News on Facebook. They wrote also that they select 30 of the best Poems and the winners get a Beta Invite, I mean a Beta Key for the upcoming World of Warcraft Expansion called Mists of Pandaria. I thought “Well I am good in writing.” and especially in my native Language German but I never wrote a Poem. So why I shouldn´t give it a try just for fun? Poetry is not my thing but I was anyway bored and did accept this Challange with a pessimistic Feeling. I created an empty Text File on my Desktop and just started writing a short World of Warcraft related Story with some easy Rimes. Pandaria Logbuch Eintrag: Glück im Unglück. Angekommen in Pandaria, stoch mich ein Insekt. Ich bekam Malaria, und bin dann fast verreckt! Dann aber traf ich einen Kung Fu Meister. Er meinte, er riefe seine Geister! Und er antwortete, was fragst du noch so dumm? ich helfe, damit dein Licht nicht erlischt! und Krankheiten heilen, ist für ihn keine Wissenschaft. Er bringt mir vielleicht die Gesundheit zurück! Er erwähnte, die Geister reinigten mein Blut. Drückte er mir ein Krug in die Hand. so sagte er, würde ich nach dem Trank garnicht mehr klagen. Ich trank den Becher aus und schlief wohl ein. Das könnte vermutlich ein Beruhigungstrank gewesen sein. doch werd ich ewig Dankbarkeit in mir tragen. Wollte wohl nichtmal etwas von mir verlangen. Und dann Glück im Unglück wie sich herausstellt. I think I could translate it for you but the main problem I see is that the Rimes wouldn´t work anymore and the complete Joke of the Poet would be not there anymore. As I think the Story only works and is funny if the Rimes are there. But the Point of my Blogpost is rather that I am one of the 30 selected People who won a Beta Key. The Decision of 4players came next Day and I was pretty suprised that I was one of the Winners. Theirfor I am able to beta test Mists of Pandaria now and before the Mists of Pandaria will be released on Tuesday, 25th September. 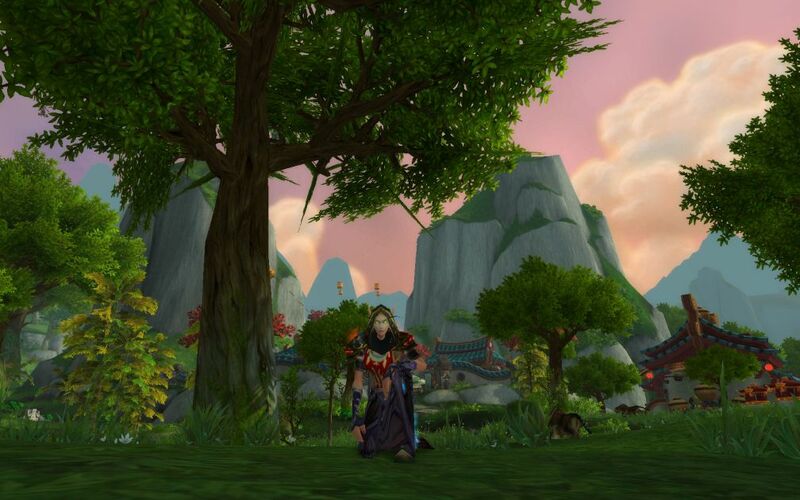 It might be that I write some more Blogposts with Screenshots about my Experience in the Mists of Pandaria Beta. But I cant promise as I wont play it to hard because I want to have still fun if the Game comes out. But let´s see. Anyway.. if you really want the translation of my german Poem, then just comment here and I see if I can describe the Poem in english as well. But as I said… the Rimes probably wont work anymore and the Story would not be so funny then. I think the whole Story wont work translated to English. I scored a beta key about 3 months ago through FB, I entered a contest never believing I would win one, but a few days later I get an email! It’s pretty awesome and I can’t wait for the release!